Madrid – IOM, the UN Migration Agency, reported that as of Friday (28/09), total land and sea arrivals in the first nine months of this year have surpassed the arrival totals of 2015, 2016 and 2017 combined, but signalled that despite the higher number of arrivals the situation remains manageable. Migrant arrivals to Spain via the Western Mediterranean and Western African routes have reached a total of 36,654 this year. Another 4,820 migrants reached the Spanish enclaves of Ceuta and Melilla by land. Sea arrivals to Spain currently account for 45 per cent of all Mediterranean arrivals this year given the reduced numbers of migrants arriving in Italy and Greece by sea. Arrivals to the Canary Islands have also increased this year (611) over last year (144). However, IOM does not assess that this indicates a significant re-activation of the old route. In 2006, over 35,000 migrants arrived at the Canary Islands by sea. Noting the dynamic migration context, IOM Chief of Mission in Spain Maria Jesus Herrera remarked that the Spanish authorities and partners on the ground have made strides to improve the reception and management of arriving migrants. “We are not seeing an emergency unfolding in Spain. The situation – while prone to pressures in instances when arrivals are larger than usual – remains under control,” said Herrera. “As always, the focus should not be on numbers, but on individual needs and the reasons why migrants continue to be driven to migrate irregularly. With more adequate channels for legal migration and complementary pathways for refugees, there would be fewer irregular crossings, fatalities and smuggling operations,” she added. This summer, Spanish authorities established two temporary centres in the southern region of Andalucía, which are now operational. 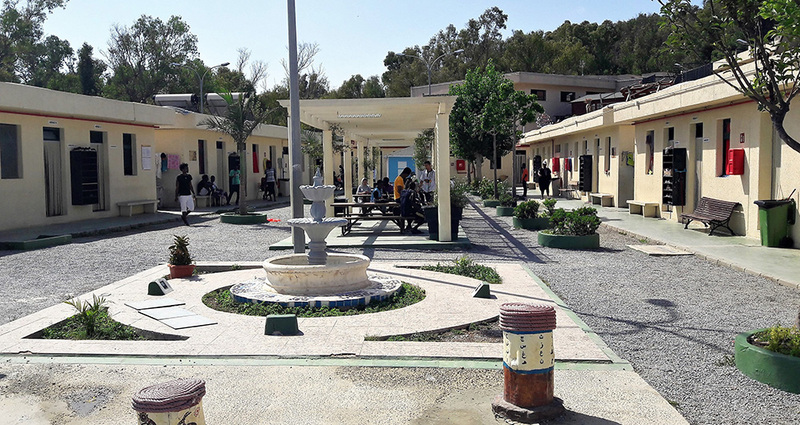 The centres were set up to improve management of the inflows, allowing authorities to register the newly arrived migrants before referring them to reception centres for further care. While Spain is now handling the majority of migrants arriving to Europe, there has been a steep overall decline of arrivals across the Mediterranean, especially to Italy which has registered the largest decrease. IOM Regional Director for the EU, Norway and Switzerland, Eugenio Ambrosi, urges the European Union (EU) to seize this opportunity of lower overall arrivals to move beyond a ‘crisis’ approach and work together across borders and political lines. IOM in Spain is currently conducting interviews with newly arrived migrants as part of IOM’s Displacement Tracking Matrix (DTM) to gain better understanding of the movements, profiles and needs of those arriving to Spain. IOM is also implementing the EU-funded TANDEM migrant youth empowerment and mentorship project, migrant integration projects, and work in the fields of counter-trafficking, relocation and refugee resettlement.